The UK Secretary for the Environment Owen Paterson, called by some the “worst Environment Secretary ever” because of his support for so many ecologically damaging initiatives, disappeared in February. Having been responsible for an expensive and highly unpopular badger cull, he became embroiled in the crisis that brought a lot of southern England to its knees – catastrophic flooding. Arriving far too late on the scene down in Somerset it was then announced that he had to have emergency surgery for a detached retina – and he totally vanished. 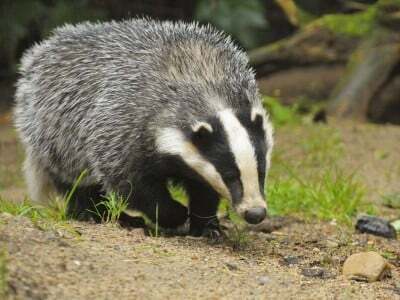 He did come back very quietly, but was unavailable to all those seeking answers about badger culling. But on 27 March Paterson finally came out of his badger sett and appeared before MPs to answer just a few questions about bovine TB and the badger cull. Pity it was the first business of the day so there was not a full house to welcome him back. But did Paterson have anything definite to say about continuing the culls? No. Any mention of the publication of the “scientific assessment” (the report from the Independent Expert Panel, some details of which had been leaked in February)? Er – no. Following the chaotic disaster of the two pilot culls, most reasonable people would be making changes to the way ahead. Thus Angela Smith, a staunch anti-cull MP asked what changes he plans to make to his policy on bovine TB. How much longer is he going to sit on the time bomb of an unpublished report that most people expect to be damning in its judgement on the pilot culls? How long is “due course?” How long is a piece of Paterson string? Prompted by Ian Paisley, who has been endlessly and loudly lobbying for Northern Ireland to have badger culling, Paterson again came out with the nonsense that the horrific long-term killing of badgers in Ireland had resulted in dramatically lowering the incidence of TB in Irish cattle. Neither he nor Paisley will ever accept that Northern Ireland has done better in tackling the disease than the south, without killing any badgers. But it was going to take 10 years last year, and the year before that and 10 years ago too. If ever there was a moving goalpost in this sorry saga, it is the 10-year one. The Shadow Farming Minister Huw Irranca-Davies delighted the anti-cull MPs with the news that during the debate on the cull earlier this month, Mr Paterson had been visiting a chocolate factory. Well – you have to hide somewhere while you’re considering reports! He then demanded that any decision to continue the culls should have a proper Parliamentary vote. No, said Mr Paterson. He went on to say that: “The last vote on a substantive motion showed considerable support, with a majority of 61, for our strategy.” He mentioned the figure of a 61 majority twice, just to emphasise it. Someone should remind Mr Paterson that that was back in June 2013, and the majority was 49 votes, not 61. MPs have become considerably better informed since then and many of them, having viewed the chaotic mess of the two pilot culls, have wisely changed their minds.